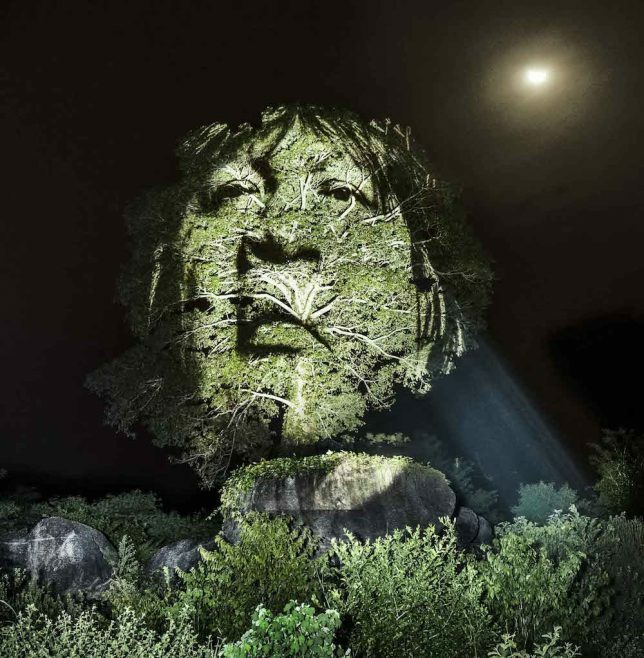 Many times larger than life, the faces of indigenous Brazilian people illuminate the darkened Amazon Rainforest, projected directly onto the trees as a symbolic representation of their connection to the land. 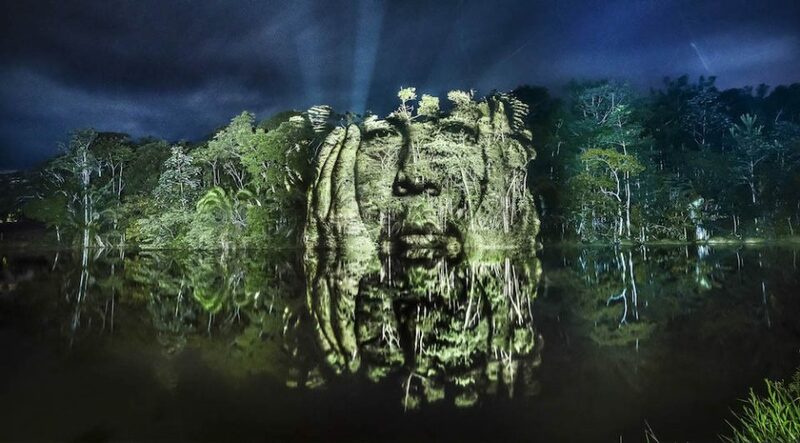 The Suruí Tribe, led by chief Almir Surui Narayamoga, are being displaced by massive deforestation that has already destroyed nearly 20% of the forest over the past 40 years, with another 20% projected to be lost within the next 20 years. 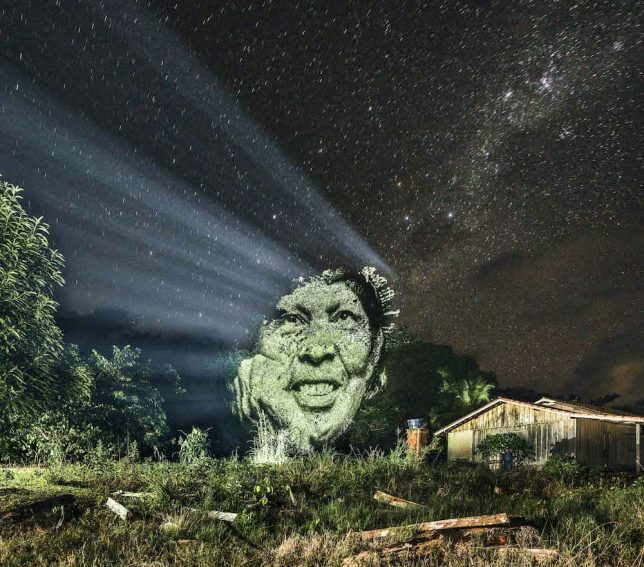 The chief invited French photographer and street artist Philippe Echaroux to bring attention to the plight of the tribe through land-based art. 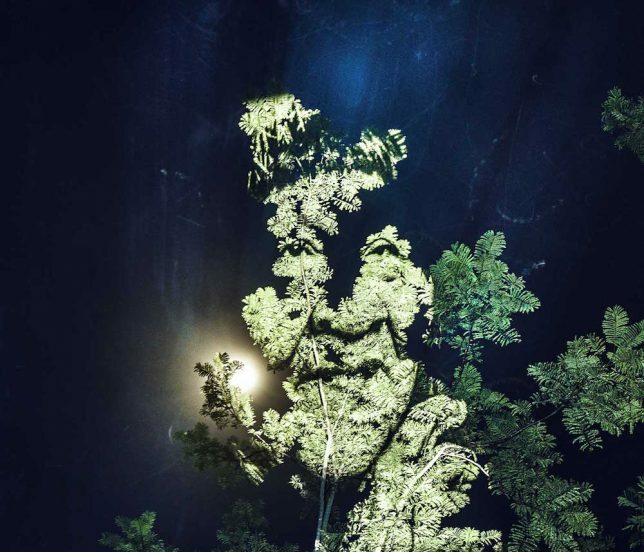 Capturing portraits of individual members of the tribe, Echaroux enlarged the images and projected them onto trees in the village’s section of the rainforest in strikingly beautiful and often eerie compositions. “Victims of massive deforestation and gold washers who did not hesitate to violate the Surui’s territory to seize deposits of precious stones, the Surui people want to raise awareness of this horrible and greedy slaughter that endangers a territory and its people,” says Echaroux. 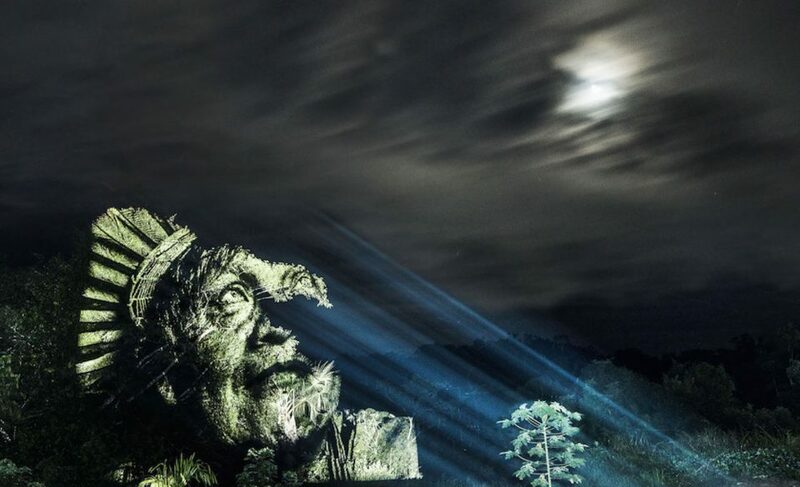 The installation, entitled ‘The Crying Forest,’ was never meant to be seen in person by the public. 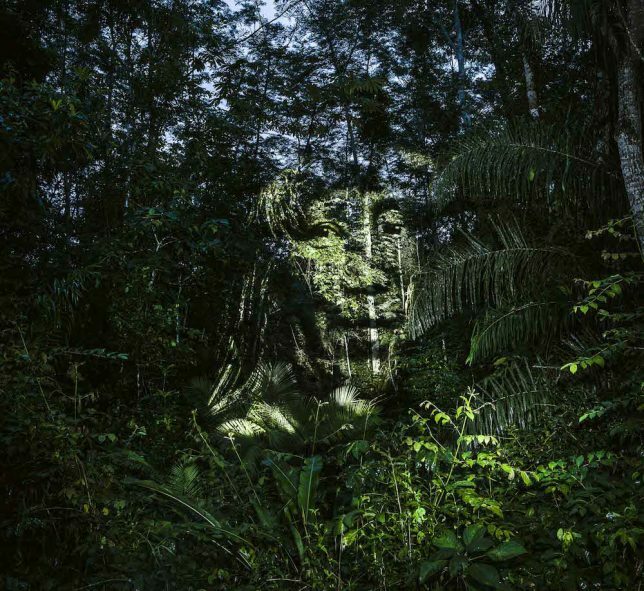 It’s almost like a private ceremony just for the forest and the people who know it so intimately – but photographs of the display will be on exhibit at the Taglialatella Gallery in Paris from November 10th through December 15th 2016. You can catch more of Philippe Escharoux’s work on his Instagram.